“Outlander” is once again changing locations for its upcoming fourth season — but only in show setting, not shooting location, which is something executive producer Matthew B. Robert says provided the “absolute biggest challenge” the production team has thus far faced on the show. 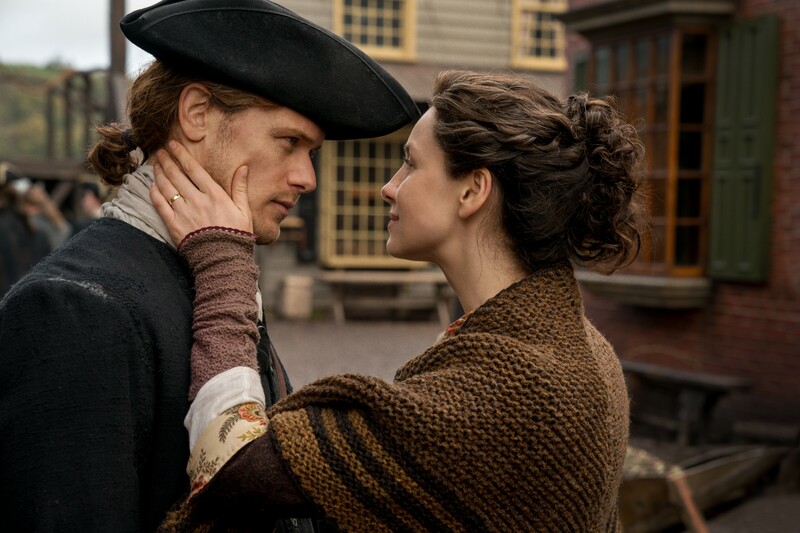 The third season finale of the Starz drama saw Claire (Caitriona Balfe) and Jamie (Sam Heughan) wash up on the shore of the brand-new American colony of Georgia, making the majority of the season four action taking place in North Carolina, even though the production itself remained in Scotland. “We always played Scotland as a character, and when you find yourself in the American colonies, you don’t have that,” Roberts tells Variety. In utilizing Scotland as a real-life location in earlier seasons, it was easy to “run outside and find that 400-year-old kirk or you can find a castle or you can find a nice stone wall with moss on it that looks cinematic and great because they’re everywhere there,” he notes. But it was harder to make it stand in for America. nice interview, enjoyed it. Looking forward to Episode 2 of Season 4.